On Tuesday, January 17, 2017, The Florida Bar Continuing Legal Education Committee and the Real Property, Probate and Trust Law Section will present a live video webcast titled “Water Intrusion/Construction Defect Claims.” This seminar is intended to educate construction and real estate lawyers in evaluating and handling defective claims involving water intrusion. Orlando partner Derrick Valkenburg will present a segment examining potential cross claims and third party claims to be brought by the builder, including subcontractors to name as defendants, what claims to assert, whether or not subcontractors can be joined in arbitration, and claims against design professionals. Other topics will include selecting a forum for the claim, selecting experts and defendants, insurance issues and arbitration versus litigation issues. The live course will take place from 1 p.m. to 4:30 p.m. Participants will earn 3.5 CLE credits. To register, please click here. Derrick M. Valkenburg is a partner in Shutts & Bowen LLP’s Orlando office, where he practices in the firm’s Construction and Business Litigation practice groups. 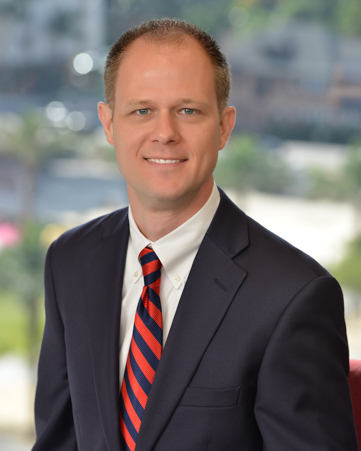 He focuses his practice on complex construction and commercial litigation. Derrick represents developers, contractors, material suppliers, and design professionals in disputes involving construction defect claims, delay claims, construction lien issues, contract disputes, and insurance coverage issues. Mr. Valkenburg also has experience in the areas of e-discovery, general business, corporate and real estate transactions, probate and trust litigation, real property litigation, insurance litigation (first party claims, fraud investigation, bodily injury, uninsured motorist, and personal injury protection), employment law, structured settlement transfers, tax controversy, eminent domain proceedings, foreclosure, commercial and residential landlord-tenant disputes, personal injury, and criminal defense.